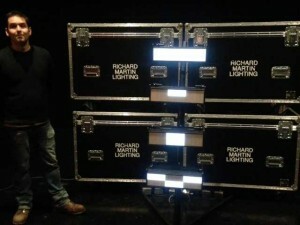 UK - Richard Martin Lighting has made a major investment in Showline's cutting-edge SL NITRO 510 LED strobes. The company - which recently celebrated 30 years of working on projects including Top of the Pops, Children in Need, and Comic Relief - says it purchased the SL NITRO 510 luminaires predominantly to meet demand for a versatile fixture designed to create a striking visual impact for TV and rock and roll. "The output that the SL NITRO 510 can achieve means they can create dynamic and dramatic lighting for applications such as live music - their punchy and bright strobe effects are perfect for upbeat songs, for instance," says Richard Martin Lighting's Gemma Jaques. "They can also be integrated into set pieces and would be great for game shows. The possibilities are there, and we're sure that our customers are going to love them." The company first came into contact with the SL NITRO 510 at PLASA Focus 2013 in Leeds, where they were keen to discover the latest LED strobe technology. 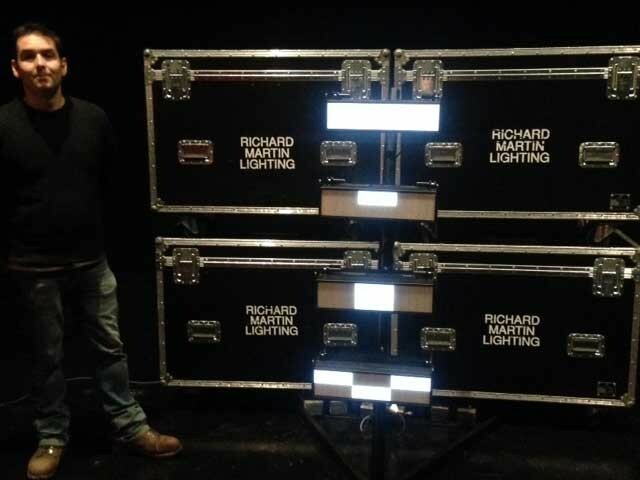 "We like to remain at the forefront of the lighting industry, and when we saw the NITROs we could immediately see that this unit reflects the advances in LED innovation and design," continues Steve Wells, operations manager at Richard Martin Lighting. "The strobe effect is hugely popular so these seemed like the ideal fixture to enhance our existing range. And of course the wealth of other attractions: low power consumption means they comply with TV's green policies; the six-cell control zones offer huge flexibility, including pixel mapping. The fact that you could potentially use a strobe light as audience lighting is something new altogether! The versatility of these fixtures means that they are also well placed for corporate and rock and roll touring so we are excited to see how our end users will chose to use them." Exhibited at industry shows around the world since its launch at Frankfurt's Prolight + Sound in April 2013, the SL NITRO 510 has proved a big hit with entertainment lighting designers, offering intense bursts of light and dynamic effects via more than 1,300 high-powered LEDs, which ensures maximum output and even distribution of light. "We are delighted Richard Martin Lighting has invested in the SL NITRO 510 and we are looking forward to seeing them used on a diverse range of projects. The great thing about the SL NITRO 510 is that it's great deal more versatile than any other strobe currently on the market," says Martin Palmer, Vari-Lite and Showline product manager EMEA. "It uses less power than traditional strobes, yet is extremely bright at over 68,000 lumens. Its six programmable zones allow designers to create a multitude of looks. As Steve Wells points out the luminaire can also be used as an intense light source as it possesses the unusual ability of a continuous duty cycle which means the LEDs can be on at full for almost unlimited amounts of time without any loss in output." Along with their outstanding output capabilities, SL NITRO 510 luminaires also include a built-in quick-connect system that allows them to easily connect together in both horizontal and vertical orientations. The connection pins lock fixtures together while maintaining a perfect pixel pitch alignment of each fixture's six programmable zones.